Singer’s introduction of the Featherweight in 1933 was one of the most remarkable examples of courage and innovation in U.S.corporate history. The nation was in the throes of the Great Depression. Unemployment gripped the nation’s cities. Rural areas were hit even harder by the deepening Dust Bowl. Singer sales had slowed to levels not seen since before the turn of the century. However, Singer was a privately held corporation. The company found itself in a position to purchase publicly held competitors; lock, stock and barrel. 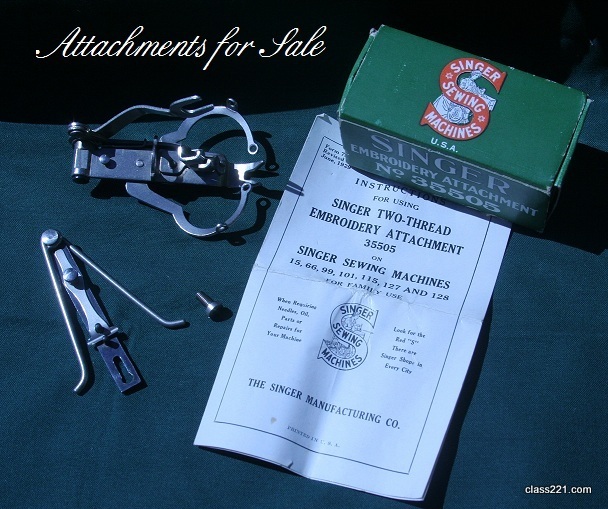 Singer obtained the Standard Sewing Machine Company for a fraction of its 1929 value. The Standard Sew Handy, completely retooled, was reborn as the Singer Featherweight. Amazingly, however, the Featherweight’s workmanship and materials bore no relationship to the desperate times. In addition to the Featherweight’s trademark fold-up extension bed, the upgraded Sew Handy sported an ornate chrome-plated face plate, a nickel balance wheel and chrome trim throughout. 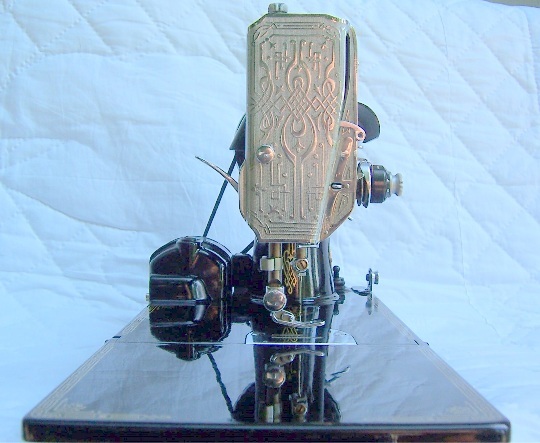 Additionally, the Featherweight was a mechanically ingenious and innovative sewing machine. By the time Featherweight production was halted in 1941 for WWII, the Featherweight had almost single-handedly brought the Singer company out of dire straits. Sales were again approaching pre-depression levels. Notably, after WWII in 1945, when Singer resumed manufacturing Featherweights, the exquisite features that helped make the first Featherweights so remarkable were discontinued. The machine was preserved, sans elegance. The Victorian era had given way to a new age.